St Emilion is set among its famous vineyards. 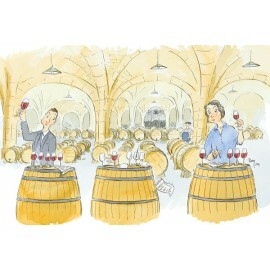 This beautiful village attracts thousands of tourists each year, who come to savour the award-winning wines of the region at the many chateaux and domains. Saint Emilion There are 3 products. Life is too short to spit out a good wine... though the wine cellar manager may disagree. 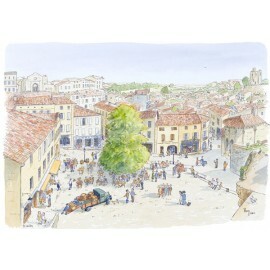 The market square in St Emilion. Famous for its wine, this drawing is available as A4 and A3 prints, as well as 100 cm x 70 cm canvas, stretched on a frame. 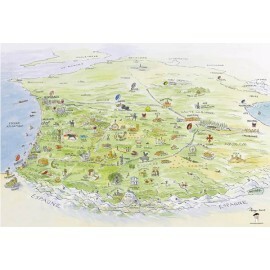 We recommend the larger formats as this drawing has lots of fine details that are less visible on the A4 print.